A new technique being developed to help identify drugs and other applications for it has yielded some surprising and useful results. The team identified a cancer drug that enhances an important natural response to viral infection in human cells. Idarubicin is an anthracycline antileukemic drug, medically, it is known as 4-demethoxydaunorubicin. The drug is classified as an antitumor antibiotic. These are derived from natural products produced by species of the soil fungus Streptomyces. It acts during the multiple phases of the cell cycle and are considered cell-cycle specific. Idarubicin works by inserting itself into DNA and prevents the DNA from unwinding by interfering with the enzyme topoisomerase II. It slows down or prevent the growth of the cancer cells in the body. 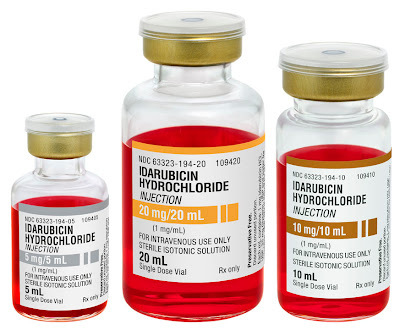 Idarubicin belongs to the anthracycline category of antitumor antibiotics and is distributed under the trade name Zavedos in the UK and Idamycin in the U.S.A. It is a type of antibiotic that is only used in cancer chemotherapy and is given by intravenous injection (IV). Results of a new study demonstrate the feasibility of a novel strategy in drug discovery: screening large numbers of existing drugs — often already approved for other uses — to see which ones activate genes that boost natural immunity. Using an automated, high-volume screening technique, researchers at Washington University School of Medicine in St. Louis have identified a cancer drug that enhances an important natural response to viral infection in human cells. "Over many years of research, we have developed a good understanding of the human body's own mechanisms to fight viruses," says the study's first author Dhara Patel, PhD, a postdoctoral research scholar at Washington University. "Instead of targeting the virus itself, which most current antiviral drugs do, we have designed a strategy to look for chemical compounds that will enhance this innate antiviral system." The results of the study, led by Michael J. Holtzman, MD, the Selma and Herman Seldin Professor of Medicine, appear May 4 in PLoS ONE. Of the 2,240 compounds the researchers tested, 64 showed increased activity in the cells' interferon signaling pathway, an important player in the body's response to viruses. The 64 compounds included many different classes of drugs treating conditions as diverse as depression, high blood pressure and ulcers. But the one that stood out is idarubicin, a cancer drug commonly prescribed to treat leukemia, lymphoma and breast cancer. Even at low doses, idarubicin significantly ramps up the interferon signaling system. In treating cancer, idarubicin stops cells from dividing by blocking a protein that unwinds DNA. As long as DNA remains tightly packed, it can't be copied. And if DNA can't be copied, a cell can't divide. Interestingly, though, the researchers showed that idarubicin's antiviral effects are totally unrelated to what makes it a good cancer drug. "We tested other cancer drugs that work the same way as idarubicin but have very different structures," Patel says. "Although they act the same way that idarubicin does in cancer cells, they had no effect on the interferon system." Like many cancer drugs, idarubicin has toxic side effects, so it is unlikely to ever be prescribed for patients fighting viral infections. But, its identification demonstrates that the new strategy works. "While idarubicin is not something you would give to a patient who has the flu, we are continuing to screen more drugs," Patel says. "We're starting to find compounds from different drug classes that are not so toxic and that have similar properties in enhancing interferon signaling. We're still validating them, but we're very excited about what we're finding." 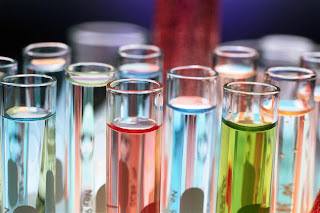 Traditionally, techniques for drug discovery involve trying to enhance or inhibit a very specific interaction. To treat a particular disease, scientists might try to disable a harmful protein, or replace a missing one, for example. But such approaches assume that altering a specific interaction of interest will result in the desired effect. "I think our technique accepts the fact that we don't understand everything that's going on in the cell," Patel says. "Instead of looking at one particular interaction, we measure the downstream effects." She compares it to driving a car and trying to make it go faster. "Traditionally, we would pick a specific part — a part of the car that we think is responsible for speed — and then test compounds that alter the part in a way that we think will make the car go faster," she says. "With our approach, we don't assume we know what is responsible for speed. Instead, we take entire cars, treat them with many different compounds, and just see which ones go faster." Patel says this screening technique is unusual because it can identify drugs that enhance the body's own immune response to a broad range of viruses, unlike a vaccine, which only protects against a specific virus. The method has also shed light on how some compounds with known antiviral properties actually fight viruses. In addition to cancer drugs, antidepressants and blood pressure medications, the initial 64 drugs they identified with increased interferon activity included some known antiviral drugs. "We already knew some of these compounds had antiviral properties, we just didn't know why," Patel says. "Now we're starting to find out how they actually work." H5N1 Virus Controversy: Avoid a Pandemic or a Terrorist Attack?